It’s a foreboding title – ‘The World in Crisis’ – but relevant. The subjects covered by the International Bar Association’s (IBA) Annual Conference on International Criminal Law were refugees, peace versus justice after conflict, how wars are being funded through trafficking in antiquities and people and money laundering, and immunity from prosecutions. What struck me this year is that, in light of the unstable state of the world, the speakers and participants really felt the weight of their work to not only further, but also to simply preserve, the international justice framework. It’s no longer only a question of advancing human rights and the rule of law, but more fundamentally ensuring that the very foundation underlying legal norms and global criminal justice institutions continues to be relevant and pervasive. This event was held at the Peace Palace in The Hague earlier this month, bringing together lawyers, along with academics and NGOs from around the world to hear from experts. “From the election of Donald Trump … to the rise of populism across Europe, and the sense of withdrawal from many institutions, from the EU to the ICC, as well as other international treaties and agreements, the international legal order as we built it in the aftermath of WWII has never been in a deeper crisis… It is in times of deeply felt crisis like the one we live today that the role of lawyers, scholars and practitioners becomes even more vital. 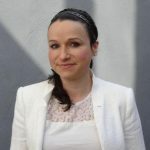 This is particularly true in our field of practice and scholarship,” explained Federica D’Alessandra, IBA War Crimes Committee Co-Chair and one of the Conference hosts. Professor William Schabas, in his keynote address looking back at the highs and lows from 2016, stressed that the International Criminal Court (ICC) may inevitably have to pursue cases of more international significance such as the war crimes – torture – allegations against American armed forces and the CIA in Afghanistan. And he didn’t pull his punches on the court’s current case record, in the broader context of what a global criminal court might be capable of delivering. He also commended the trial of Hissène Habré, who was tried and convicted before the Extraordinary African Chambers – but within the Senegalese court system – for atrocity crimes, including sexual violence and having raped a woman himself. This landmark trial was the first in history in which a domestic court of one country prosecuted a former ruler of another for mass crimes. It was also the first universal jurisdiction trial of its kind in Africa. While Schabas is sceptical of universal jurisdiction’s success rate to date, given the trouble international justice is in, such cases might represent one of the most strategic ways forward and we have already begun to see this unfolding in relation to Syria. The discussions during the day served to underscore the unequivocal role that international law and justice play in ensuring long term stability. But the final session on the challenges of immunities for senior officials facing serious criminal charges was particularly relevant for ICC watchers after a tumultuous year of withdrawal announcements and uncertainty. I found South African Professor Max du Plessis gave a sound and balanced view on the debate over Sudan President al-Bashir’s immunity before the Court. 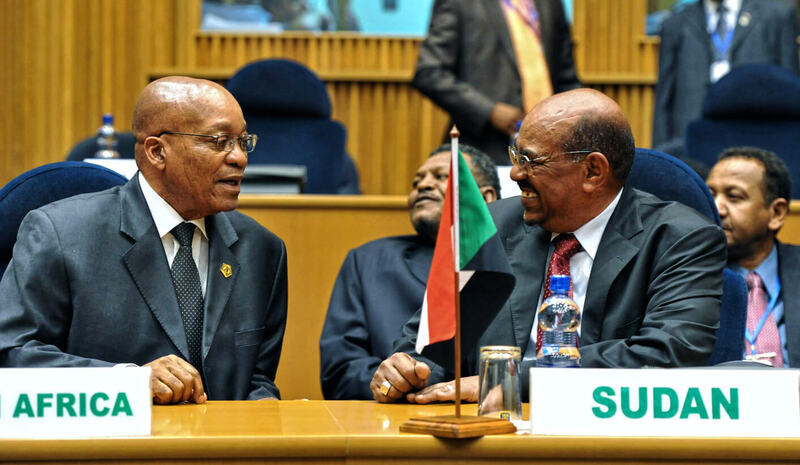 He reasoned that South Africa’s unexpected and about-face announcement to withdraw from the ICC stemmed from the domestic legal battle that the government was immersed in over whether it had erroneously neglected to arrest Al Bashir who is wanted by the Court. Withdrawing from the ICC, which hastily came after no public debate or consultations, seemed to wash the government’s hands of the messy ordeal. What I liked most from this talk was du Plessis’ frank assessment of the so-called ‘Africa debate’. He said a few interesting things: there is a need to somehow ‘de-Africanise’ the ICC by letting the evidence lead the Prosecutor to pursue cases in other regions; that we need a serious debate on head of state immunities in order to defuse entrenched positions (and perhaps this could be the subject for an International Court of Justice advisory opinion as previously proposed by Dapo Akande); that we need to take domestic prosecutions of atrocity crimes more seriously but at the same time decry false alternatives to the ICC, namely the African Court of Justice and Human Rights, which lacks sufficient financial and state support to take on criminal cases and promises to offer immunity to sitting heads of state and senior officials; and finally that ardent ICC supporters need to engage more and also drop their smugness towards the African Union and those African leaders who criticise the Court since this ignores the complexities of the issues, reinforces positions and polarises the debate. I’ve recently joined the IBA’s War Crimes Committee as Conference Officer and I look forward to planning next year’s conference – undoubtedly 2017 will provide us with ample work.